Learn how to make this easy to make dessert for your next festive celebration or occassion! Its fast and is a sure winner for all. 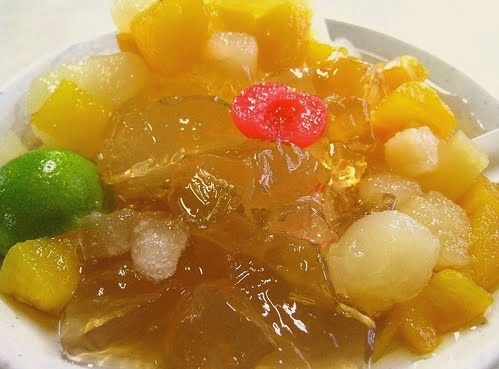 Pour 1 packet of ice jelly powder into 1 liter of water and bring to boil. Let the solution cool and in the refrigerator. Serve chilled with fruits cocktail, blended ice and calamari juice.